Wait, I can’t listen to you right now! Do you know Sarah’s new security question? Why did MS call it The Mojave Experiment? Because a desert is littered with dead longhorn skulls! Google launched its own observation satellite, where will they stop! I’m safe, I painted a sign on my roof. 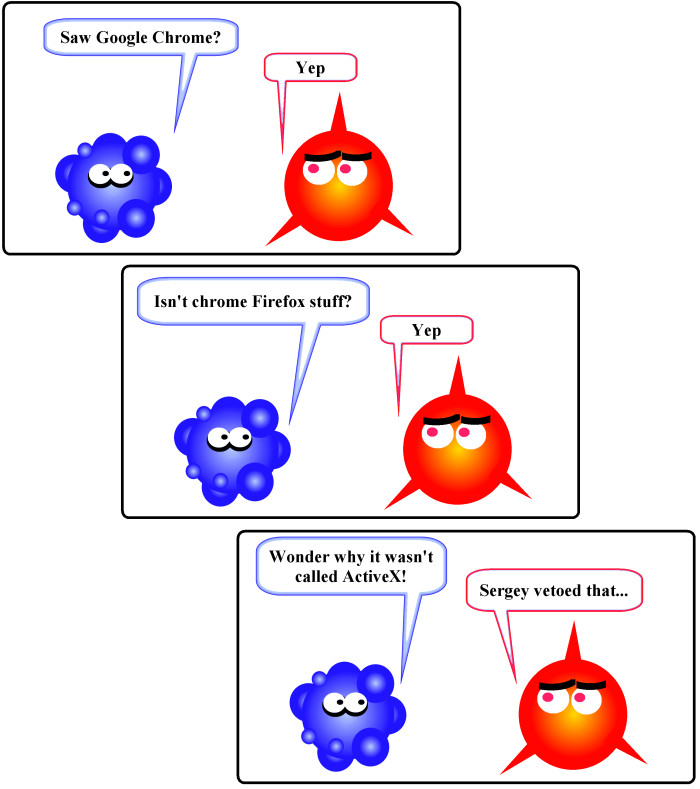 Wonder why it wasn’t called ActiveX? 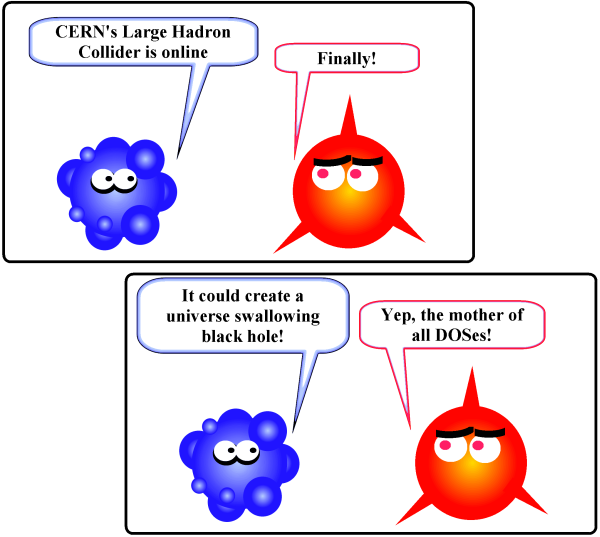 It could create a universe swallowing blach hole! Yep, the mother of all DOSes! 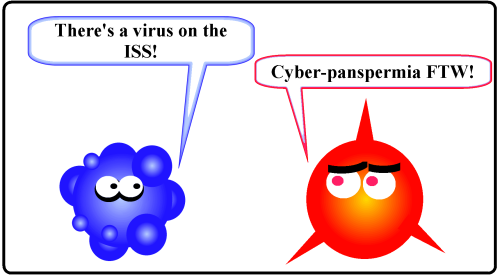 There’s a virus on the ISS! YAISC: Yet Another Info Security Cartoon by Didier Stevens. Not necessarily safe for work or politically correct. Occasional obscure humor will bypass publication filters. YAISC by Didier Stevens is licensed under a Creative Commons Attribution-Share Alike 3.0 Unported License.